10 years ago, my husband and I took the step towards purchasing our first home together. When house hunting, we had many things on our list of things the house must have. Having a large yard and room for entertaining was important. We love being in the outdoors and loved the idea of having a nice space to entertain our friends and family. After moving in, we worked quickly to rebuild our deck. We added a nice table, patio furniture and a grill. 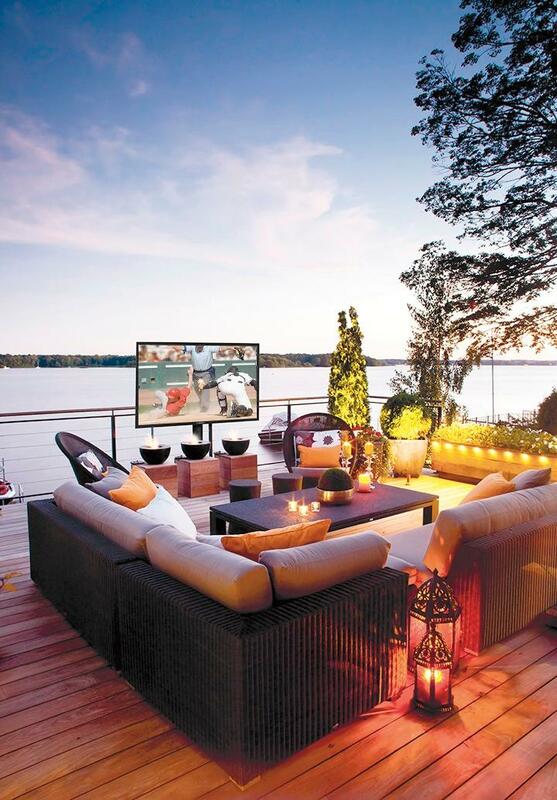 One thing that could have really made our outdoor oasis a dream would be an outdoor home theater. Wouldn’t it be amazing to be able to watch movies at night or even a sports game gathering for the guys? Creating an outdoor theater is the most affordable room addition that you could make, and the best seat is in your backyard! Our deck is full sun for most of the day, so the SunBriteTV Veranda Series would be perfect. The Veranda series is a family of waterproof televisions that are designed for full-shade applications: Full Shade (Veranda), Partial Sun (Signature), and Full Sun (Pro). So now you can bring the indoors to your outdoor entertaining and have the best of both worlds. I know what you are thinking… TVs aren’t meant for the outdoors and there is no way they would withstand the elements. 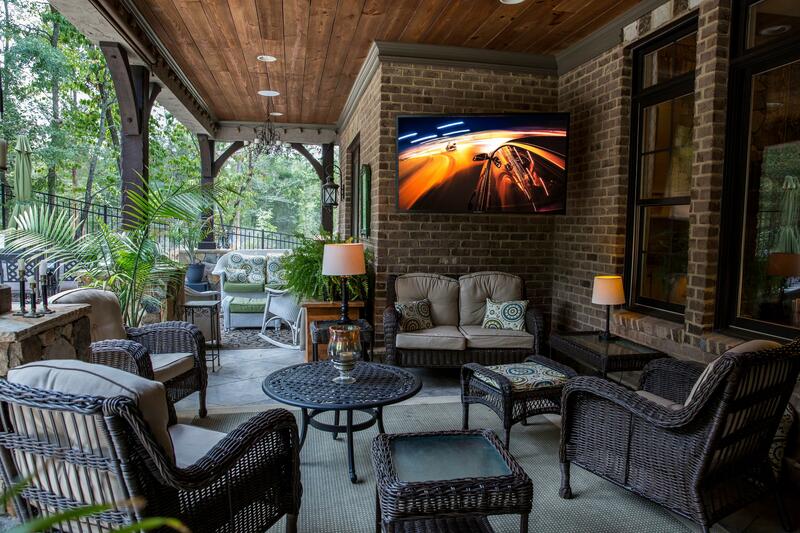 The SunBriteTV Veranda Series is engineered for permanent outdoor installation and are more durable, safer, and higher performance than using indoor TVs outdoors. 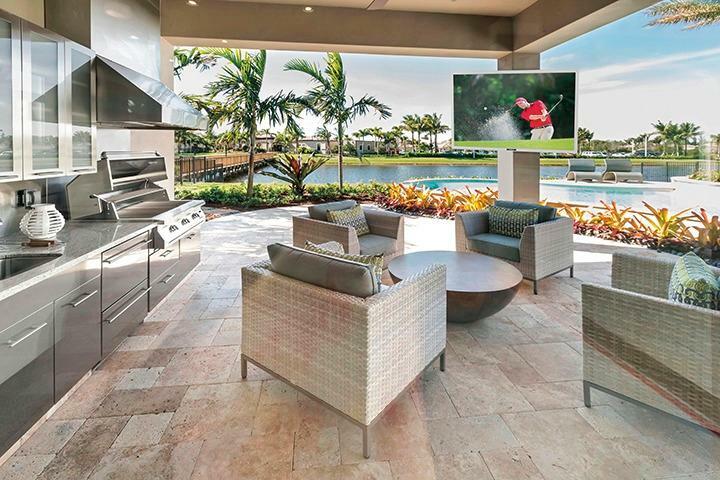 Are you thinking about upgrading your outdoor space with an all-weather TV? I’m checking out the offer that Best Buy is running right now, you should too! Our Backyard Renovation – The New Deck is Going Up!